If you’ve been searching high and low on the toy shop shelves for a special little someone for your child, look no further – your search ends here. 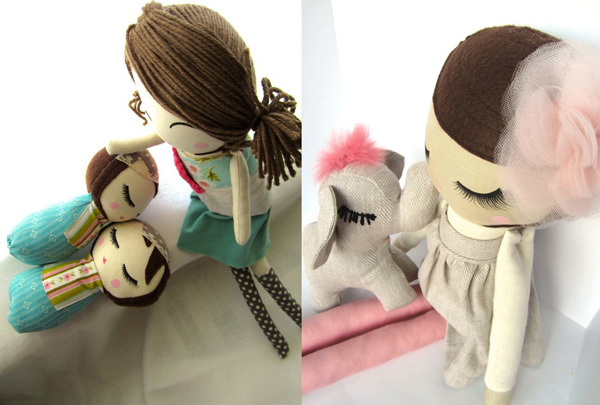 Imaginary friends don’t get much more special than these beautiful custom made dolls from Etsy treasure, Mend By Ruby Grace. Now it’s up to you as the customer how you want your doll friend to look by submitting your hair preference and colour themes to artist Natasha, and from there she will create one of the most darling dollies you’ve ever laid eyes on! 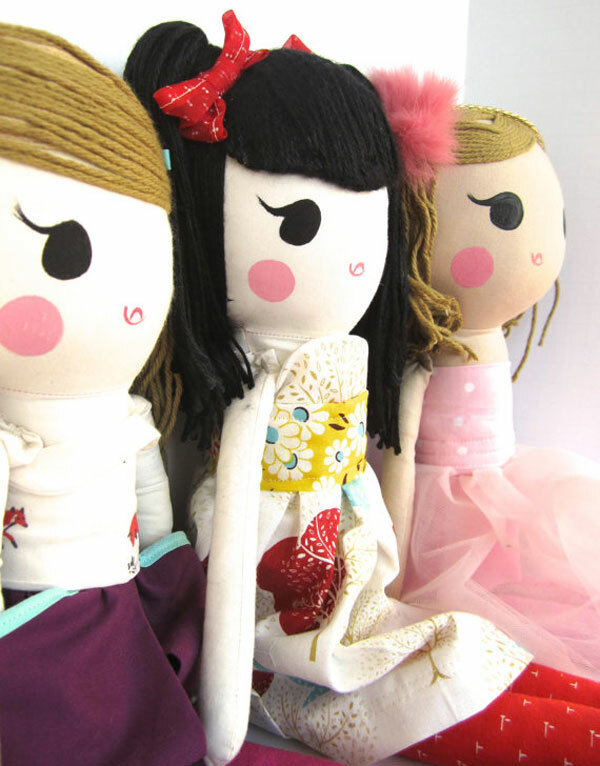 Each doll is unique and made from re-purposed and vintage fabrics and embellishments. Natasha paints their beautiful faces (including those luscious lashes and rosy cheeks) by hand and no detail goes unnoticed. Standing at thirty-eight centimetres tall, the basic Classic Doll is priced US$100 and includes felt hair, attached outfit, headband and socks. Little extras like yarn hair, swivel arms, removable clothes and even an animal friend are all available at extra cost. To see Natasha’s custom dolls, visit Mend By Ruby Grace. Please note that there is a three to six week wait from point of ordering the dolls to delivery, though there is little doubt they’re worth the wait!